Earlier this week we shared the different ways Earth Day is celebrated throughout the year at the Spoonflower HQ. Whether we’re composting our lunches, tending to the employee garden, or diverting more than 2,000 pounds of waste from the landfill to our compost, we’ve embraced the importance of protecting our mother earth. Now it’s your turn! 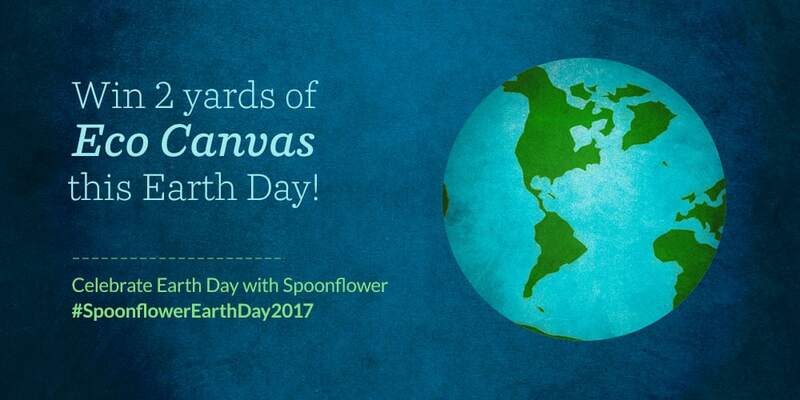 Snap a pic of your Spoonflower Eco Canvas project and tag your Instagram photo with @spoonflower and hashtag #SpoonflowerEarthDay2017 by 10 a.m EDT April 24th. For every Instagram photo shared with our Earth Day hashtag, we’ll donate $1 to Recycle Across America.